2 How Long Should Posts Be? 3 Could I Find A Writer To Do This For Me? 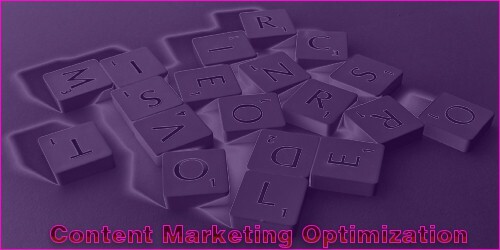 If you are writing to get traffic, you may want to think about content marketing optimization. There are many things any company or and blogger can do to optimize the process of marketing with content. Many bloggers hear about the amount of traffic a blog is getting get started writing. But, do the have the first clue, what content marketing is all about? Some really don’t and waste a lot of time writing and getting no where fast. This can be extremely frustrating not to mention it can also come at a cost. Your time is worth money and you want to always keep that in mind. So, what are some ways anyone can optimize their content marketing strategy? In today’s post were going to cover all the ways we know how to do content marketing and how to optimize it to get a maximum return on your time investment. Ok, so you heard about websites that are getting loads of traffic from Google and you want a piece of that pie. There is nothing wrong with that. The problem is most people get started and go about things the wrong way. So, where here today to try and save you some time and grief. So, it helps to understand about the foundation of content marketing. So, what really is content marketing? Well, it’s the process of writing content and adding it to your blog or website. But, it can also be writing guest posts for other websites or even press releases. Either way, it generally involves a lot of writing. And if done correctly, usually a huge amount of writing. So, if you are starting a new website or blog and let’s say you are new to all of this. You may already have a ton of ideas floating around in your head. And, that’s great. But, some try to do way too much in the start and do not concentrate on what’s important. The important thing is you just get started. We all know that right? But, if you don’t do something, you of course will never have anything. So we suggest picking one topic for a new blog and make it something you are passionate about, something you know a lot about. Picking one good topic to get started will allow you to write and not give up. Later you can start other websites if you want, but for now just concentrate on what it is you really like to do. It could be a career spanning over the last 30 years of maybe you just like to garden. And don’t worry if your topic is general and you see a huge amount of websites out there already. Competition is a good thing. And, you will be adding your own unique voice in your writing and adding a whole new fresh perspective to everything. Ok, so you have your topic and your blog is rolling. Now let’s talk a little about content marketing optimization. These are the things you can be doing to get maximum results out of your content efforts. This is always debated by many but we always recommend more lengthy content. The reason for this is simple. The more content you have per a post or page, the more you may be found by a search engine. Can you get away with short content? Yes you can. You see it all the time when some sites post just a video on a page. However, helpful content is not really ever short. Of course we do not recommend anything under 500 words and most defiantly not under 300 words. The truth is, if you really cannot find enough writing in you to produce over 300 words then it is what it is. However, just know you may suffer penalties from search engines like Google. If you know enough about your subject then we highly recommend your pages be as long as they can. We usually write anywhere from 1500 – 2500 words or more depending on the subject we are writing about. Back in the pre Google penalty era, many people got away with 250 – 300 word posts. But when Google released their Panda update, most of these sites were gone from their rankings. It’s pretty simple however, if you pick a topic you know a lot about, then you have a much better chance and producing good quality long articles. And don’t write words just for the sake of writing either. Google can figure this out. Could I Find A Writer To Do This For Me? Yes, you can. However, if you want a website that will be around and stand the test of time, be prepared to pay a handsome sum to your writer. The old saying, you get what you pay for is very true in this regard. A good writer who usually charges a fair amount will research your topic or subject and usually take days or a week or more to produce a good article. You have to think about what you want here. If you really want a long term income from your website, then finding a good writer would be the way to go. Many experts online will tell you to keep producing fresh content. But, what does that really mean? Some suggest you post every single day while others say only a few times a week. The problem is, when people try and write articles every single day and they write about the same content over and over. This is one things Google Panda looks at. And, many webmasters do this unknowingly. Don’t just do keywords research and pick tons of keywords and start writing. Google has shifted more towards a content style rather than only keywords. This is why you will see many blog post ranking for many different keywords that are similar and relevant. Focus more on topics, rather than keywords. The reality is, if you only wrote about one topic a week but made that piece the best you could by rewriting it over the course of a week, it will be that much better. And, there is usually more to add about a topic then there is if you only look at keywords. This is why we say to make your content as long as you can. One this is for sure about longer quality content. It’s easier to promote to others. Of course you have to pick good subjects and write quality content people care about. But, in general it will be easier to sell other people on the idea of it. The first place we suggest for content promotion is social media. The idea here is to build up your social following and then you are able to promote your content to each of your social profiles. This is an awesome strategy but it does take time to work. And you really do need to build followers. This is the hard part for most people. But sites like Facebook make this easy with things like Facebook ads. We also suggest building up your profiles of the major social site like Facebook, Twitter, Tumblr, Google+ and more. This way once you build your followers you will have a good amount of people who will see your content. Quick Social Tip: Once you start building follower, promote pictures and post which already have a lot of shares on social. This way you can get even more followers for free. This is the process of writing a long article on a subject very useful to others. This could be a 10 best article or a review of the best gardening tools. Whatever it may be, make it your best. Then, you find other sites of blogs in your space who would like or care about your content and your email them telling them about your content. One tip that makes this better is writing about an expert and adding them to your post. Then you email or call that expert and let them know you added them to the article. And, sometimes, they will link back and promote it to their email list or to their social followers. You can find out more here from Brian Dean and his skyscraper technique. Well, this is all dependent on a few things. If you blog is newer it could take a good amount of time like up to 24 months. Or you could start seeing traffic from your first post. However, we suggest if your site is newer and you are adding long fresh content and give it a year to really get going. Amit Agarwal didn’t see much traffic for a couple of years. He now has a net worth over a million dollars. Of course if you produce longer content, then you will be posting less often. But we think this is really over looked. Half of the content battle is just getting started but the other half is making quality content. Randy Ray reports about the wirecutter in his post about mega content. And the wirecutter is producing a 50k a month income. If you chose to make your website about a topic you love and know a ton about then it should be pretty easy to come up with lots of content. However, every writer struggles as some point or another. When writers block sets in, we suggest reading other blogs in your niche and news sites about your topic. These days all you have to do is search Google about your topic and things will come up. Take your time and read through much of the news or articles for inspiration. Eventually a top will stand out and you may be able to write again. For a good content strategy to take off and earn you traffic, you want to produce your best content. Always make it helpful and thoughtful for your readers. The more you help people the more they will be inclined to read what you actually write. Writing longer content is usually better but not always required. The best thing you can do is write for actual humans and not just search engines. Sure keep Google in mind when writing and this is usually done with your keyword in your title these days. But, writing for humans will help reduce bounce rates from your posts. Use keywords in your posts sparingly, you don’t want to over do it these days with things like Google penguin on the lose. Just write your best and the rest should follow.